We arrive to Prague on 15th of January. 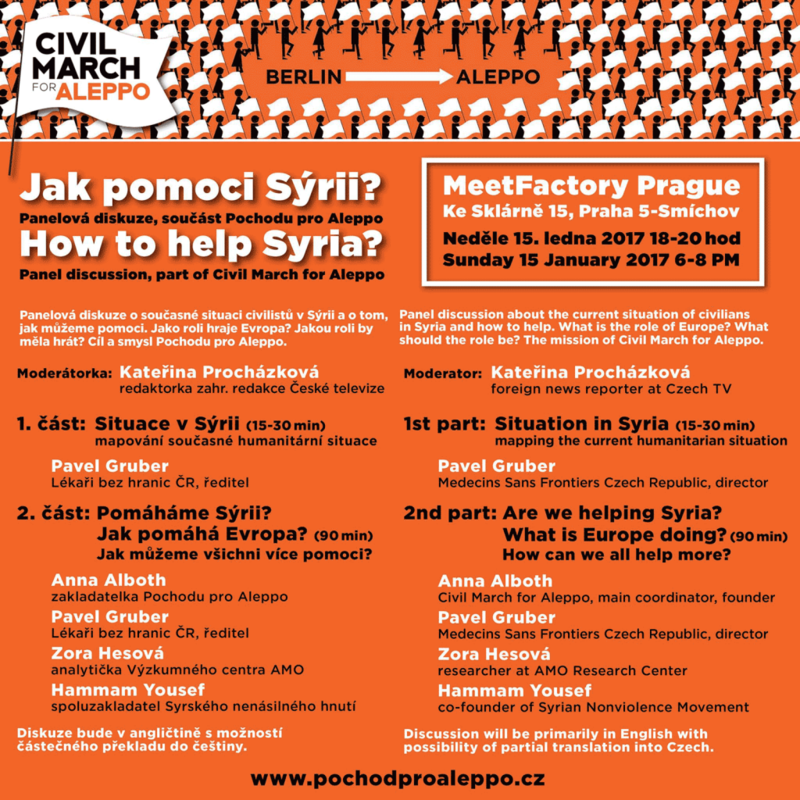 You people from Prague can join our march, the panel discussion. We are happy to meet you and talk to you! 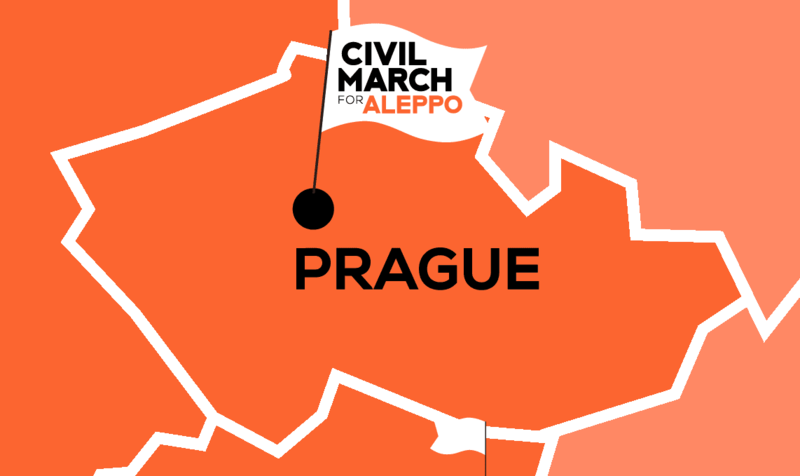 The people of Prague join the march at 15h of January ca. 11:30 o’clock near the Syrian embassy. There will be no stop at the embassy though. At ca. 2:30 o’clock the walk through Prague ends. We install ourselves at 4 p.m. in the Meet Factory Prague. Between 18-20 o’clock there is a panel discussion in Meet Factory. Press is welcome! Join and Share our Facebook-Event. On 16th of January at 17:30 o’clock at the Hradčanské náměstí we will take part in an event called The Vigil – this is a candle for Aleppo event organised by the organisation Češi pro Aleppo. We are there as guests.